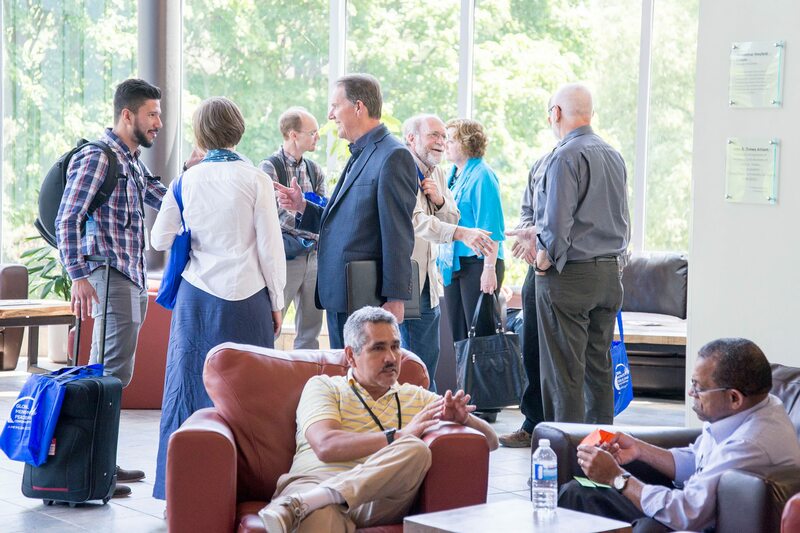 On June 9-12, 2016, 203 people visited Grebel from 20 countries for the first edition of the Global Mennonite Peacebuilding Conference and Festival. The purpose of the event was to explore traditions and contemporary expressions of Anabaptist/Mennonite peace beliefs and practices; to bring together academics and practitioners to learn from each other, to give expression to peacebuilding ideals through the arts, and to assess and re-envision Mennonite peacebuilding practise. Here you can find photo's and articles from this event. In this 'learning document' are reflections and gleanings of the conference and festival: click here. For a photo-impression, check out the Facebook-page: click here. For a serie of articles published by Conrad Grebel University College: click here.